Why not join us for afternoon tea served from 3pm or later for drinks and canapés from 5pm. Sample our wonderful food, drink and hospitality;view the wonderful selection of suites available, meet with a selection of preferred suppliers, talk to our wedding experts about planning your big day. 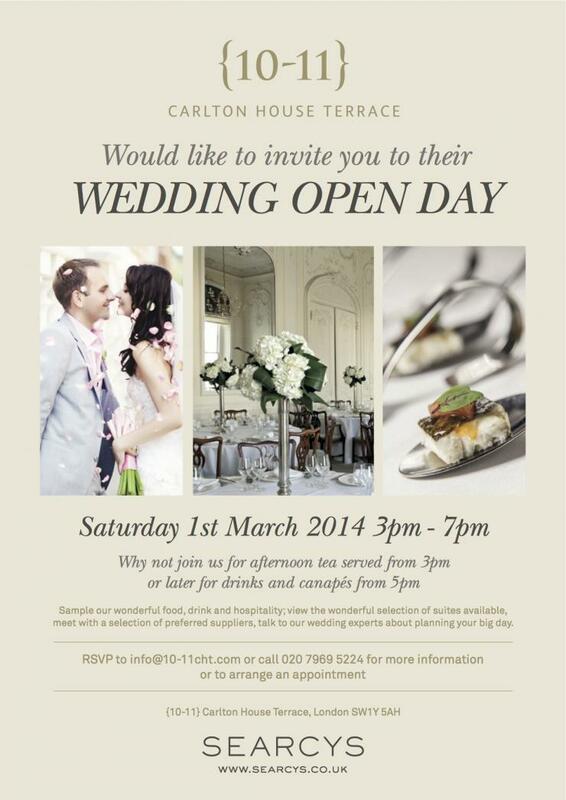 RSVP to info@10-11cht.co.uk or call 020 7969 5224 for more information or to arrange an appointment.